You are currently browsing the tag archive for the ‘shamanic’ tag. It’s a grey, chilly Wednesday morning from the kitchen window at the clinic where Felix and I now live. Beams of sunlight break through the clouds to brighten the day. A squirrel runs across my view and up a tree, scrambling to get ready for the cold season. The parking lot is empty. I’m deeply tired but satisfied. Most of the last two weeks has been spent in New York state helping my sister with medical visits and a big move and she is recovering splendidly from her brain surgery in August, looking well with a new emerging beauty. Her process is facilitating healing for the rest of us! My daughter Coral and partner Ashley have settled into my former house and now Felix can visit back and forth between Nana and Mom and Ashley. Coral and I go for counselling for family healing and parenting transitions. Felix is in grade one French immersion at the wonderful public school in Carp and chatters away with great enthusiasm in his new language. We have dictionaries everywhere to look up French words. The clinic has been vacated and Lori (manager), Gisele (bookkeeper), Jeremy (maintenance/drumming) and I are cleaning up, preparing the infrastructure at the centre for what comes next. Internally I’m hanging on by the skin of my teeth. With little time for self right now and my emotional healing roaring away in my subconscious, I often feel disoriented and strange. By grace I’m able to continue my daily meditations/tapping/prayers, which take the edge off the anxiety that comes with old memories surfacing. Knowing there will be time alone ahead and glimpses of bliss nurture me through this demanding phase. My retreat in Quebec to learn more shamanic work with splendid teacher Ilka Marcenay was profound—and feels light years away. However, I’ve claimed the yurt at the centre for myself to practice “journeying”. It is insulated, has a stove and is in the woods. When time allows, I light a fire in the morning and then come back later when it’s warm to meditate, write, rest and enjoy nature. It reminds me of the forts I used to build as a child and makes me happy. Finally, I made a decision about holidays. After another agonizing Thanksgiving, I decided to stop doing holidays after this Christmas. Until I’m emotionally well, I’m going to take that time to slow down instead of getting drained. Alternatively, I will do something else to connect with family and friends and give to charity. I’ll let you know how that goes! Energy healing comes in many different forms. It is the old “laying on of hands” in many respects. The tools I happen to use include Reiki, shamanic healing and working with Angels. With Reiki, healing energy is channelled through me from Divine source. It comes through with intelligence and intuitively goes where it is needed. Shamanic work deals with many layers of the soul, healing through various intuitive messages and reintegration of fragments of self-leading toward wholeness. My third modality is communicating messages from Angels and collaborating with them in direct work on the body. Some people feel nothing happen during a session. Some people feel everything; they feel heat, certain emotions come up, they see coloured lights or have specific memories. It varies widely per person and per session. Typically, you feel relaxed and lighter by the end of a session. You see better physical, emotional, mental and spiritual functioning. Sometimes this will be immediately evident after one treatment or sometimes you see this after a series of sessions. Emotionally there is less burden and more freedom to how you feel in various areas of your life. Understanding deeper aspects of pressing issues brings mental clarity. Experiencing spiritual healing varies depending on your openness and interest in this area. Physically, tissue now has an opportunity to heal. This can mean less or no pain. There can also be the resolution of benign tumours, cancers and various other diseases or conditions. Einstein’s equation of E=mc2 means that all matter is a frequency of energy. Changing or elevating the frequency of the energy governing the tissue gives an opportunity to improve the health of the tissue. What are the mechanics of Energy Work? Chakras, aura layers, meridians are different energy systems in the body which have their own optimal healthy functions. Tears, cysts and blocked energy are all forms that impede healthy functioning of these systems. Past life issues that are still problematic, current life issues and relationships with family and friends are the sources of these impediments to healthy function. Karma, contracts and the need of soul recovery because of lost fragments of self are also sources of difficulties in the energy systems. 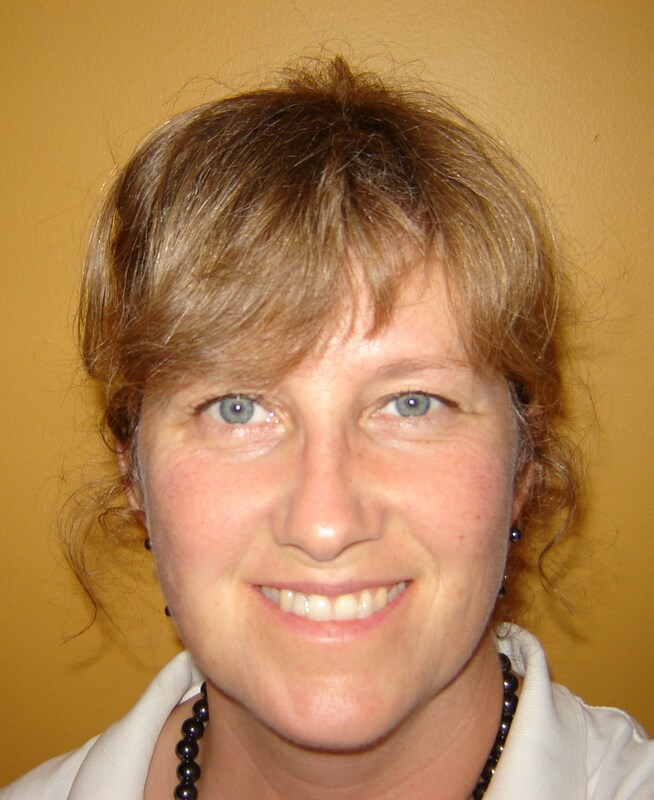 Jennifer Presley RMT has been working in the Ottawa area doing massage therapy and energy work for eleven years. She takes joy and delight in doing this work and is honoured to assist others on their journey. It’s Friday afternoon and it’s raining. Sort of how I feel. For the last two weeks I’ve been sicker than ever in my life as part of my healing. The persistent hacking cough and flu weren’t unusual for this time of year, but then an ear infection crept in. Whoa Nelly! More pain than labour. Finally my eardrum broke, bringing some relief and a lot of pus. And then the pain started all over again. My mind went somewhere else, underground I think. No vestige of faith, positive thinking or larger perspective to be found—I was crabby, whiny and negative with no energy for anything. This is the mental and emotional detox part. Finally last weekend, our massage therapist Jennifer offered me two Advil pills during the shamanic training we were both doing. The teacher had told me I was purifying as part of the course and wanted me to stay in the class even though I looked and sounded like death warmed over. Twenty minutes later, I was a different person, all pain gone, mind clear, VERY HAPPY. I don’t do pain well, having the pain threshold of a mouse—a baby mouse! It was like a religious experience—I had no idea drugs would work that quickly and that well. I’m a convert, grin. It’s the first time needing/taking pain killers in my adult life (except for medical procedures); even at the dentist I don’t take freezing (for some reason dental work relaxes me—go figure). I have to admit feeling a little foolish that it was so easy and that I had caused myself (and the poor people around me) so much extra suffering for nothing, but there’s a reason I hung on for so long that I’ll get to in a minute. The ear infection raged for five days and I finally went to my MD for some antibiotics. After one week in bed or on the ground wrapped in blankets during the course, taking all kinds of natural remedies and yellow pus still pouring out of my ear, I was up for some modern medicine. My big incentive was that I have a plane ticket for Germany this coming Thursday to honour the third generation naturopathic practitioner before me who recently passed away, my aunt Annina. It’s now evening. On a whim I prepared a Thai meal with leftover fish, another first and SO delicious. Appetite is back and creative energy is flowing through me. I think the turning point has been reached. My ear has stopped draining, there is no pain and I’m ready to whomp this cough with some high-powered suppressant as soon as I lie down, which is when it usually acts up (I didn’t need it and slept through for the first time in over two weeks). The cough is a hanging healing symptom of fear: fear of not being able to take care of Felix; fear of not being able to see my patients; fear of dying. And all healing symptoms act up at night when the relaxed nervous system (parasympathetic) is predominant. From a German New Medicine perspective, the issue that led to this left-sided ear infection was a shock of “I can’t believe I heard that” with my daughter. And this whole process has been a spectacular detoxification: last week I ate the equivalent of one meal over seven days! Now my body feels light, with appetite and energy coming back. And all that back and joint pain I’ve been complaining about this past year? Gone. Although it remains to be seen if it is still gone after the antibiotics are done, as they actively suppress the healing phase, which is what those pains were. This is where it’s important to understand the whole process as a healing of much more than an ear infection and why it was worth hanging in without drugs until the midpoint had been reached so I (hopefully) don’t slide back down after all that work. I hear Felix calling from the bathtub. Time for his massage and story. And then blissfully to bed! Let’s see if the healing sticks. This is a vulnerable phase and it’s easy to relapse. I’ll keep you posted in March and let you know how I weathered this trip. Apologies to my dear patients for all the cancelled appointments. And happy spring transitions, may they be easier than mine!